Welcome to Engineering & Industrial Services, LLC. 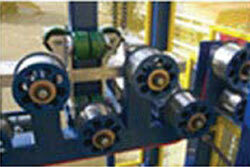 EIS has been providing our customers with reliable and cost-effective solutions for over 30 years. 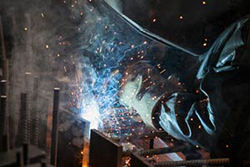 Whether you make automotive, medical, industrial or other products parts, Engineering & Industrial Services, LLC. 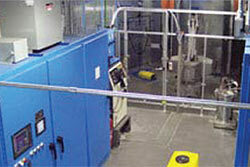 can DESIGN, FABRICATE and INSTALL complete systems to meet your needs. But that’s not all we do. 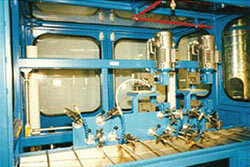 We offer industrial equipment used in a variety of manufacturing. Explore our website to learn about our wide array of services and equipment. At Engineering & Industrial Services, LLC. (EIS) we are, and always have been, committed to providing our customers with Excellence In Service. From the day a request for a quote is made, to the day that the equipment is commissioned, we strive to provide you with the best possible experience. We opened our doors in 1977 and ever since then we have been our providing customers with reliable and cost-effective solutions. Our design team has many years of experience in the extrusion industry; making it possible for us to state that we not only have the ability, but also the experience needed to meet the demands of the ever changing manufacturing industry.